We’re proud to be partners with some of the most renowned names in the industry. Our partnerships ensure that you’re getting the most efficient, accredited and up to date service available when you work with IT Champion. IT Champion are a certified Microsoft Partner. We have attained the Silver Cloud Platform and Small to Mid Market Cloud Solutions Competencies, and we specialise in Office 365 consultancy and migrations, SharePoint development, Intranets and Azure deployments. We have a proven track record of helping hundreds of companies move their critical business services to the Microsoft cloud. We are Dell technology experts who help businesses to understand and solve their IT problems and drive their business to even greater success. The Dell Partner Program couples our best-of-breed services, insight and expertise with the power of Dell EMC leading technology to jointly deliver robust solutions to clients. As an HP Enterprise Partner we gain instant recognition and trust, as well as access to innovative, integrated HP products. Our team receive comprehensive sales, support and technical training so that we can offer class leading HP solutions to businesses of all sizes. 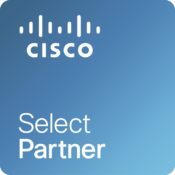 Working as a Cisco select partner gives IT Champion access to one of the broadest portfolios in IT, which includes Cloud, Data Centre, Mobility, Security, Collaboration, Services and Software. This enables us to offer client’s leading edge managed IT services backed by world class Cisco support. VMware is a global leader in virtualisation, cloud infrastructure and enterprise mobility solutions. We can connect you with VMware technology, combined with our expertise and services to design, plan and deploy industry leading virtualization and cloud computing solutions. Veeam are industry leaders in data centre back-up and recovery. Being a Veeam partner equips us with access to exclusive resources, so we can offer you help and advice while assisting you in purchasing the correct Veeam software for your business. Ubiquiti Networks provides a variety of high-end wireless networking products that utilise innovative and ground-breaking wireless technology. Lenovo, a worldwide leader in innovative consumer, commercial, and enterprise technology. Their portfolio of high-quality, secure products and services covers PCs, workstations, servers, storage, and a family of mobile products such as smartphones, tablets and apps. Working as an Altaro partner allows us to monitor and manage our customer’s Hyper-V and VMware backups from a single cloud console, on a monthly subscription basis. With the direct support from Altaro our team can offer a conclusive portfolio of VM backup solutions and services. The Webroot Channel Edge Reseller Program enables IT Champion to sell Webroot SecureAnywhere security solutions. The program is designed to support our technical and sales team to plan and deploy streamlined endpoint protection deployment. Meraki are market leaders of cloud networking products and as a partner it means we can offer a responsive and proficient sales cycle, including joint calls, demos, and technical deep-dives. IT Champion deliver Cisco Meraki cloud-managed networking as a service, without the infrastructure required by traditional solutions. Based at the Heathfield Industrial Estate next to the A38 near Newton Abbot, Ubi supply, install and support phone systems, mobiles, telephone lines, fibre, Guest Wi-Fi and tracking and management software for businesses, hotels and schools. IT Champion are pleased to be working with Securious, a Devon based Cyber Security company, as our security partner. Based in Exeter’s Science Park, Securious are the first company in the South West to qualify as a certification body for the Government’s Cyber Essentials programme, meaning they can help companies take the essential steps to protect themselves against cyber threats. Ampology offer world class digital marketing services. They are passionate about what they do and know the internet inside out. Mixing technology with sales and marketing strategies they offer customers a unique perspective on modern digital marketing techniques and methodologies. KCOM helps both private & public sector companies prepare for an unpredictable future as a new kind of systems integrator. They’re able to provide a creative view on rapidly evolving digital technologies and customer expectations, ensuring their clients are navigated through any potential disaster and achieve their transformation ambitions. Founded in 1983 and based in Newton Abbot, the experienced and accredited staff at Grey Matter provide independent and trusted software advice, management and supply for organisations of all sizes seeking solutions to their development, technical and business requirements. OfficeLabs have more than a decade of significant technical and commercial experience under their belt, including long term, successful relationships with large public and private sector organisations. Based in Exeter, their focus is on providing a clear, coherent approach to consultancy. Optix Solutions create a variety of digital solutions for large and small businesses through their team of 15, specialising in everything from web design to social media strategy. They’re based in Exeter, Devon, and have over 18 years experience in digital. Optinet provide high speed connectivity alongside expert advice and the latest technology. They know the industry, networks, technologies and associated service levels and expectations. Their experience and honesty is a refreshing approach providing their customers with factual insight and recommendations to reach an educated decision for their business needs.